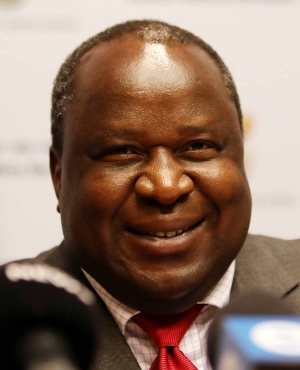 Government is prioritising regaining SA's investment grade rating on its debt as part of its plans to revive a stagnant economy, Finance Minister Tito Mboweni said. Moody’s Investors Service is the only one of the three major credit-rating companies that still assesses South Africa’s debt at investment grade. S&P Global Ratings and Fitch Ratings cut their ratings to junk during former President Jacob Zuma’s tenure which was characterised by political uncertainty due to multiple cabinet reshuffles and corruption scandals. "It’s priority number one because we have to get out of the status that we are in and back to proper investment grading and we are working hard at this," Mboweni said in an interview with Bloomberg TV on the sidelines of the G-20 meeting in Argentina on Saturday. "The change will happen because of the things that we need to do ourselves." While Mboweni said he is not sure how long it will take to recover investment grade status, the main focus for government needs to be on enhancing policy certainty and credibility, lowering debt and showing restraint in fiscal support for struggling state-owned companies. "We need to demonstrate action around the fiscal stance and the budget standpoint of South Africa and show that we are taking steps to reduce the debt that is accumulating," Mboweni added. "We need to take serious steps to show that we are moving to restructuring the economy and reigniting growth." Credit ratings agencies have flagged slow economic growth, embattled state companies and high debt levels as key risks to the country’s debt rating. Mboweni slashed economic growth forecasts in half for 2018 to 0.7% in his maiden mid-term budget in October after the economy plunged into a recession in the first half of the year. He also said government debt will peak later and at higher levels than previously anticipated. Gross domestic product hasn’t expanded at more than 2% annually since 2013 and unemployment is at 27.5%. "When we do these practical things, I think the ratings agencies will look at us and say these folks are back in business," he said.